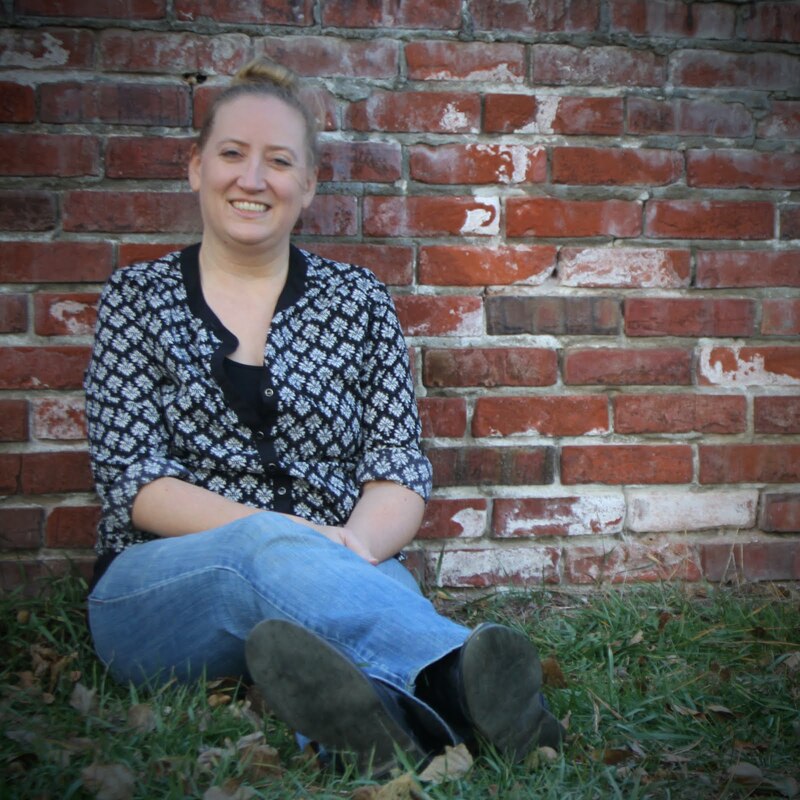 TIF TALKS BOOKS: Narwhal: Unicorn of the Sea by Janet Halfmann & GIVEAWAY!!!! Narwhal: Unicorn of the Sea by Janet Halfmann & GIVEAWAY!!!! Janet Halfmann, author of Little Skink's Tail and Seven Miles to Freedom: The Robert Smalls Story, brings yet another educational book that you will want to add to your shelves! Narwhal: Unicorn of the Sea tracks the travels of the little known title mammal, the narwhal. Traveling in the cold Arctic waters, the narwhal spends its time in the inlets and bays during the summer and moves to the sea to move more freely without the frozen waters to hinder their movement and breathing. Their adventures include hiding from killer whales, diving for cod, avoiding polar bears, and "jousting" matches! If you are anything like me, you are probably wondering what a narwhal is! Now that I've read this book, I can tell you! It's a small whale who resides in the Arctic. Males are known for their long tooth that juts out of their mouth, like a unicorn's horn juts from its head. These mammals were very mysterious to me before I even read this children's picture book; however, by the end, the mystery still remains . . . not because the story is lacking, but because scientists simply do not know that much about them. Overall, it was simply fascinating! POLL: Before you read this post, did you know about the narwhal? Take the poll on the sidebar and let me know! When I was sent this book via a request from the author, I received two copies of the book, one hardcover and one paperback! I am all about spreading the love and therefore, will be giving away the paperback copy to one lucky winner!! ONLY US Residents are eligible at this time. Tweet about it! 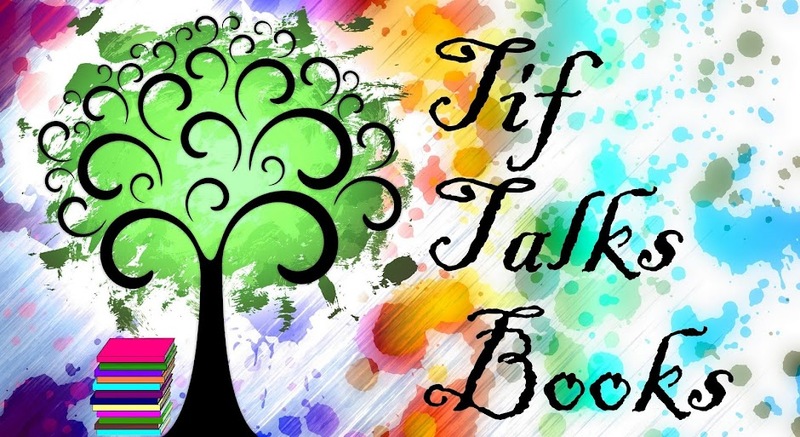 Don't forget to mention tiftalksbooks in the tweet for reference! Spread the word on your blog! Just remember to give me the direct link to your post! Last day to enter will be on July 31st at 11:59 p.m. Central Time. I will notify and announce the winner on August 1st. Good luck and spread the word!! Z would love this book. He's actually a fan of the narwhal. My favorite animal is the sea otter! I did two research projects in college where I ended up having like 70 hours of sea otter observations and I never got bored. They are sweet and funny and so dang cute! It's a toss up for me between dog and elephant. Would it be all right if I didn't post my email publicly? I think you've got my address, but if not, I've got yours and can send it to you. Also, I am a super fan and do subscribe to your blog :). Kristen . . . got you down! Sea otters . . . whenever I think of them, I think of the aquarium in Seattle. (I'm pretty sure that's what are there!) They always seem so playful! Gulbrandsen family . . . Wow! Dogs and elephants are so different!! Now I'm curious what draws you to both!! :) And, yep, I've got your email! And, just for the record . . . I have no problem if you prefer to email your address. I completely understand!! No worries Katie! Before this book, I hadn't either!! And, I've got you down for the giveaway! 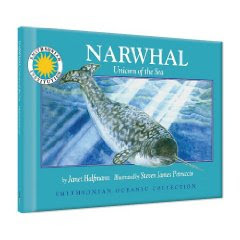 I have heard of narwals, but I would like to learn more! Yes, sea otters are the featured cuties at the Seattle Aquarium and are also big in Monterey, CA and Vancouver, BC. They also have a good sized group at the Shedd Aquarium in Chicago for you non-west-coasters. 1. Favorite animal has to be the Wolf! 3. Subscribed to your blog! this would be great for my nephew!! thanks for this contest! Favorite animal is simply dogs, they're the best! What a beautiful book! This would be great for the classroom. My favorite animal is the Panda Bear. My favourite animals are fish, of any kind. Jessica, I'm going to assume you wanted to enter since you commented. Leslie, I've got you down for 5 entries! Good luck and thanks for helping to spread the word! Erin, got you down for 2! So, I'm curious . . . have you ever seen a panda in person? I never have, but have always wanted to! etirv, I've got you down for 2 entries! Good luck! ossmcalc, Narwhal would be perfect for the classroom! I've got you down for 4 entries! And, thanks for spreading the word! Jake, I've got you down too! Good luck!! Winners will be posted by noon tomorrow (Saturday)!! Favorite animal - the river otter. Seems like all they do is play all day -- and they really know how to have a good time! I like narwhals, too, though. We learned about through the BABY BALUGA book - a family favorite. We'd love to win this - thank you for the chance! I am subscribed to you and follow you on twitter. I also made a tweet. Gwendolyn B. . . . I've got you down for 4 entries! BreaiaB . . . I've got you down for 3! Christina . . . I've got you down for 4! The giveaway has been closed and results have been posted!! My poll has also been closed. For those interested in the results of "Have you ever heard of the Narwhal?" . . . .
Tif, I did see some Pandas in person at the San Diego Zoo serveral years back! Right now it would be Curious George! Erin, that is so cool!! I've always wanted to see a panda in person!! MoziEsme, Unfortunately, the giveaway has been closed and the winner posted. Thank you for visiting though! Tif, thanks so much for your wonderful review and giveaway of my book, Narwhal: Unicorn of the Sea. I enjoyed reading about everyone's favorite animals. For all of the sea otter lovers, I have a fiction bedtime book, Good Night, Little Sea Otter, coming out in Spring 2010 from Star Bright Books. I was lucky enough to watcg the sea otters at Monterey Bay Aquarium in CA. And the river otters, too! Happy Reading to all!